$50 OFF / PRE-HOLIDAY SPECIAL! Til Nov. 1, 2016, Get $50. OFF Show packages A, B, C, & D.
Did you know you can request Free "Lite MC" service with any of our Show packages? Lite MC includes Welcome-Venue directions (restrooms-bar ect)~Meal announcement~Invocation announcement~Happy Birthday Song leading. (does not include introduction of sponsors). 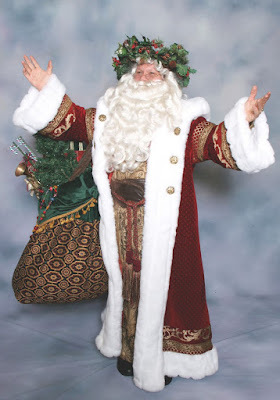 "European Father Christmas" (costume weighs nearly 50 lbs!) performer is $350 hourly.